Sun protection. I suppose this has to be number one on the list. I started wearing them for this reason alone. I simply didn’t want my hands to look like my grandmother’s did, with large dark spots on the back, and with a leathery look, and regular little bleeding nicks. The gloves seem to do the job well, and considering that sun-cream washes off ones hands, the glove would be the way to go. We have harsh sun conditions here in South Africa, and one finds that particularly at high altitude, you very quickly burn. Protection from wind and chapping. This was a surprise discovery. Regrettably I am an office person, and when exposed to wind and cold, my hands simply are not as tough as they need to be. I have found that the gloves help with this aspect of things. Holding fish. I like to think that I don’t squeeze fish, or grip them too tightly, but I must say that the slightly rough leather patches on the palms of the gloves hold fish surprisingly well. The downside of this is that I am probably removing slime from them more than my hands would have done, and this is not good for the fish. Where possible I try to ease the fly out without touching the fish at all. Wet gloves. In theory at least, these should make your hands colder, and I wondered whether fishing in wet gloves all the time would be problematic. In mid winter it is, but then wet hands are a problem then, whether or not you wear gloves. And for the rest of the time, the back of the glove dries surprisingly quickly, and I barely notice a difference. Wrists. Perhaps there are brands of glove out there that cover this problem, but mine do not: the cut ends just off the palm of the hand, and this is a nuisance, since it leaves an unprotected band between the glove and the sleeve, necessitating sun-cream anyway. Can anyone recommend a better brand? Photo white out: My gloves are a grey colour, but one friend tells me that his were simply too white, and every time someone took a picture of him holding a fish, the whiteness blew out in the picture , as white patches are inclined to do. He had to dye his to solve this. Pulling yourself up. I had not given this any thought, but when clambering out of a stream, or up a steep slope, one often ends up holding onto grass. Grass cuts are inevitable, unless you are wearing these sun gloves, in which case you are pleasantly protected. Remember to always look for snakes before grabbing bankside vegetation though. These little glove’s wont solve that problem! They are gloves. And I struggle with wearing gloves, just like I seldom wear a scarf. I am used to feeling the world with my hands, and the presence of a layer is problematic for me. Even though all my fingertips are uncovered ,sometimes I find myself just ripping them off and shoving them in my pocket for a while, so that I can feel the reel world. Perhaps you have some thoughts? This entry was posted on April 23, 2013 by trutta. It was filed under Stillwater, Streams and was tagged with fly-fishing, hand protection, sun cream, Sun gloves, sun-burn. I agree with your all points. I am a golfer and have experience with sun gloves and sleeves. Thumbs up! The best I’ve come across are Uveto Back handers, fairly long backs deal with wrist problem. Maybe the best idea is just to buy cheap cottn gloves, and cut the fingers off! Thanks Jezzah. I will look those up, but otherwise the cotton gloves idea is a nice simple solution. I carry and wear a pair of soft leather gloves with no insulation most of the year, switching to warmer gloves or mittens during winter hunting. I find the soft leather gloves useful around the boat, fishing and working around the camp. I occasionally dunk them in the lake and wear them wet to keep them soft and pliable as well as enhancing the way they fit my hands. As long as they are thin leather, you have a pretty good feel for things. I cover up much more than I used to. Of course, things like Buffs make it much more pleasant. 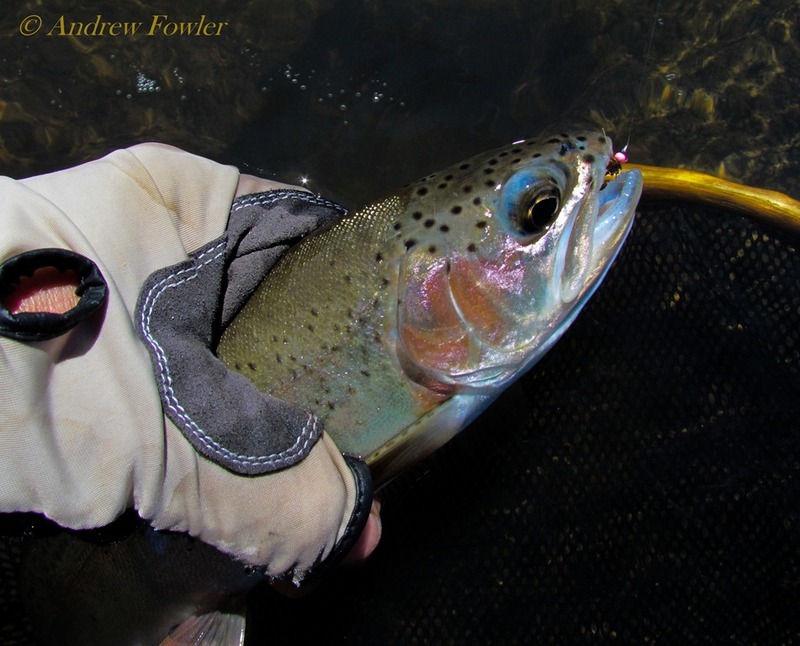 I need to find some sun glove with extra protection for stripping; I wear them most when fishing for big stuff. Let me know if you find a particularly good product out there! Hey- I’m so happy you commented on my blog. I’m getting to experience a whole other world through yours now. Very cool. I have all kinds of questions about the fishing in South Africa, but I’ll poke through your archives first to see what you’ve got. I’ll be sure and add you to my blog roll. Hi Jason, thanks for taking the time. I think your sentiments are correct and you listed some great reasons to wear gloves. I don’t fish in the winter any more, but I don’t wear them in the summer either. I guess I should.